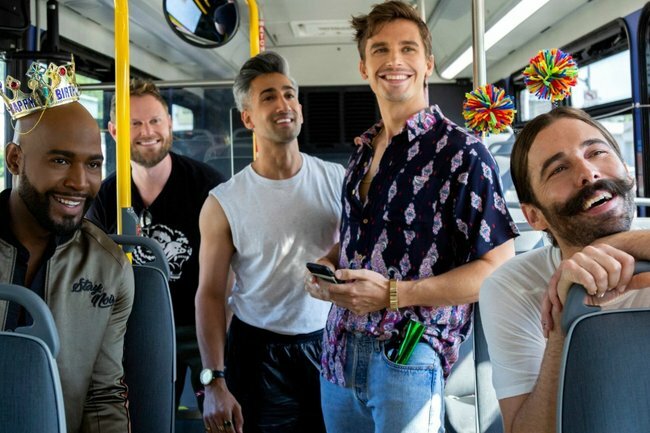 Queer Eye season 3 review: What's missing from this season. When I sat down to watch season three of Queer Eye, I expected a few things. I knew I’d shed a few tears. I was sure I’d once again wonder whether I could pull off a French tuck. I knew, deep down within myself, I’d become convinced that a new haircut and a better moisturising routine would change my life. I was sure I would have a sudden craving for… avocados. And I knew I’d end up falling in love with the Fab Five, their banter, and their genuine love for each other all over again. But what I wasn’t expecting was to get most of the way through the eight-episode season and be left with a feeling of emptiness. Like I had been eating sugar all day and suddenly had an intense craving for some real meaty, starchy food. The thing is – season three of Queer Eye is just as glittery and high energy and feel good as the previous two seasons, but it seems to have lost a bit of its heart. Along the way, as the show has matured, it’s lost some of its fierceness, some of its fight. 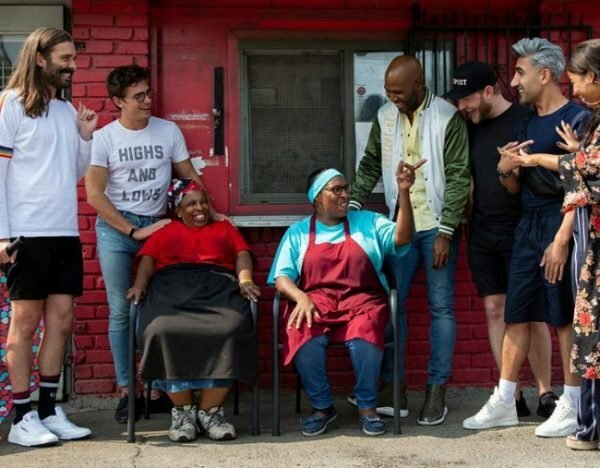 This season the Fab Five – fashion advisor Tan France, food and wine guy Antoni Porowski, culture expert Karamo Brown, interior designer Bobby Berk, and grooming specialist Jonathan Van Ness – relocate to Kansas City, Missouri. There, they makeover a correctional officer named Jody; two BBQ pitmaster sisters Deborah “Little ” and Mary “Shorty” Jones; Joey, a camp instructor who doesn’t like to shower; and a grieving father-of-two named Rob. There’s no doubt the Fab Five fundamentally change these people’s lives for the better. Spoiler alerts. 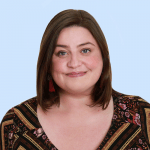 Jody learns to love herself again. Little and Shorty’s BBQ business is completely rejuvenated, their famous sauce is finally bottled, and they can now work in a comfortable and safe environment. Joey gets a brand new home and the chance to reconnect with his son, who has spent most of his life without a stable father figure. Rob learns to move on and start putting his family first, while still honouring his late wife. But their journey with the Fab Five seems almost a little too easy, too predictable. In the first two seasons, the Fab Five broke down barriers and tackled some big issues. They took on racism and bigotry. They had an honest conversation with a white cop about the Black Lives Matter movement. They helped a very traditional religious couple learn to accept and embrace people who were different to them. They guided their makeover guests as they came out to their families. Almost every episode had some kind of political message. The Fab Five with Little and Shorty. Image: Netflix. As a fan, you finished the season believing the guys were not only changing people&apos;s appearances but helping them change their minds. And that&apos;s what&apos;s missing from this season. Season three feels much more transactional, much more like a traditional makeover show. The Fab Five feel immediately accepted into each household. Their makeover subjects know exactly what they&apos;re there for and they happily go along for the ride. No one questions their long-held beliefs, an encounter with the Fab Five doesn&apos;t change anyone&apos;s narrative or their mindset. Houses are renovated, wardrobes are made over, people learn how to do several new things with avocados, and everyone leaves happy. Sadly, it seems this season is more about changing people&apos;s appearances than changing their minds about the important stuff. And it all feels a little... empty. You can watch all eight episodes of season three of Queer Eye on Netflix now.